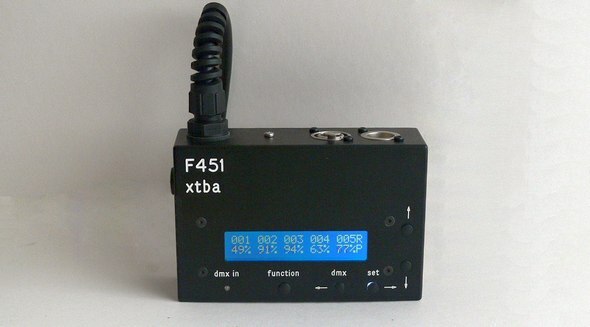 The XTBA F451 DMX Fire FX unit is an in-line or stand-alone Fire / Flame effect DMX controller. This compact unit has random rate, level, start address and block length controls to give maximum flexibility in use. Effects channels can be assigned a start adders and block length (number of effects channels) and merged or replaced into an existing DMX source or used as a stand alone DMX generator. Settings are retained on power down or can be stored into up to eight memories.